We are processing your payment and will be getting your first bundle of goodies ready and into the post within the next seven working days. 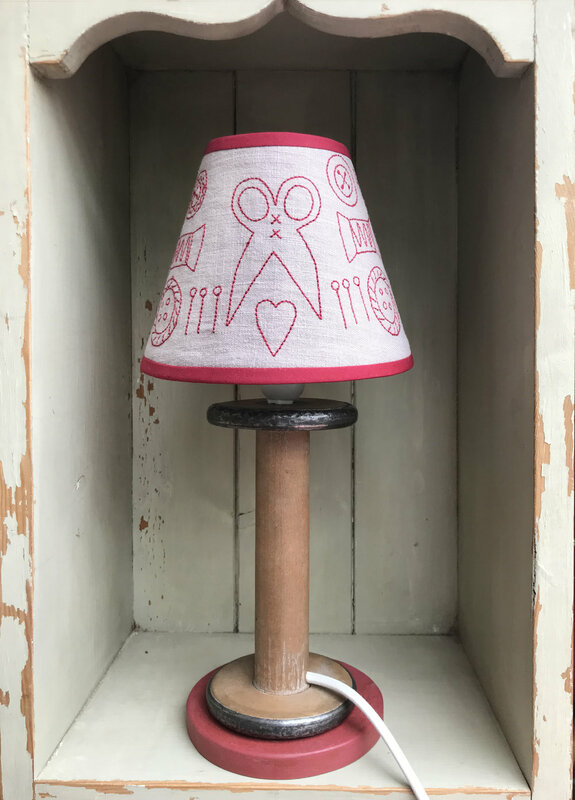 Meanwhile, if you haven’t already, why not buy one of our Homemade Antique Spool Lamp Stands? They are handmade especially for us Phil Shaw, Mandy’s husband, from genuine Antique Spools. Numbers of the lamps are limited so we suggest that if you want the perfect partner for your shades you don’t delay and buy today! As a member of the Lampshade Club you qualify for FREE P&P on this item, you can find your unique code in your Payment Receipt email. All you have to do is pop this code in at checkout and the P&P will be deducted automatically. Your Lamp Stand comes ready fitted with a white fabric flex – you will just need to add the shade and a bulb.